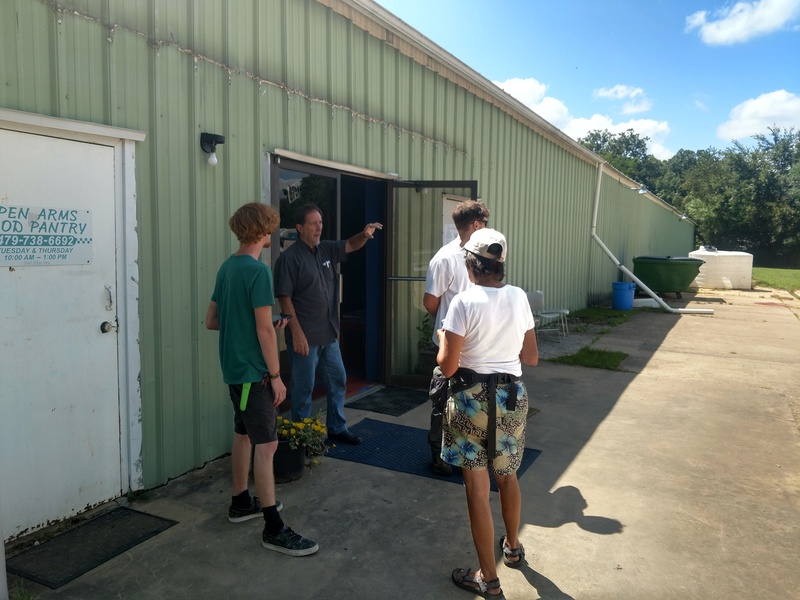 Rick Dignan, co-director of Faithful Servants Ministries in Huntsville, Arkansas, tells Tas and Chase of Biodiesic Strategies what the problems were with water run off on the site. Trish takes notes. Tas and Chase work for Jesus Vegans, and we decided to give back to the community. We paid them for the consultation, and Rick was really grateful. There is so much potential to make a permaculture paradise on this land. Rick envisions people who come and get free services at the rink, regaining their dignity by having an opportunity to work in the gardens and other projects. Permaculture has endless opportunities to enrich the land and the people. Everyone is happy because we came up with some good solutions. I pray that this can be the start of some beautiful projects and that Tas and Chase will be able to help Faithful Servants Ministries further. Next ﻿Surprises come in all sizes!